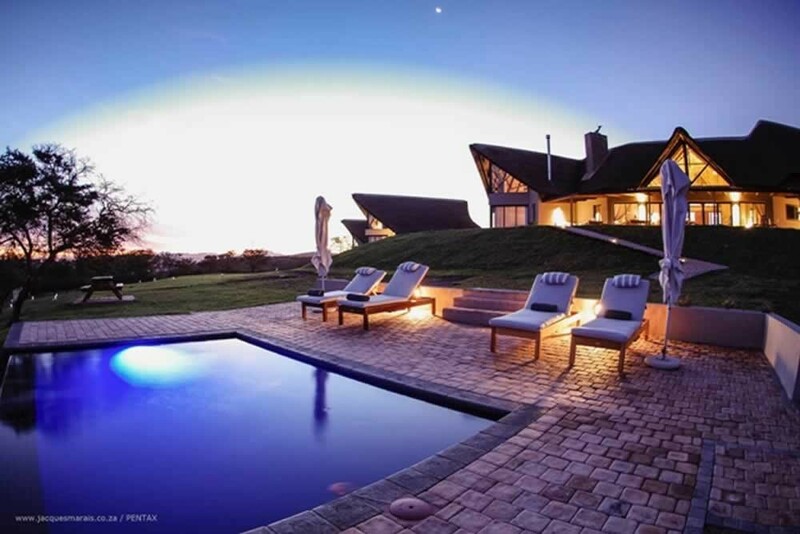 4 Star Luxury Country House / Bed & Breakfast Accommodation a short drive from Jeffreys Bay in the Eastern Cape. 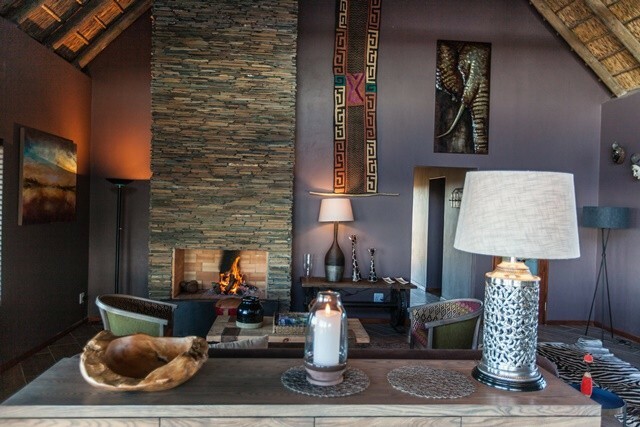 Each spacious room of our Luxury Suites and Luxury Safari Tents are decorated with subtle chic African touch, and has a private wooden deck that provides the most breathtaking view to both the beautiful Indian Ocean and indigenous bush. We invite you to stay in one of our two outstanding Safari Tents, discretely positioned to ensure privacy and tranquility. Alternatively you can relax in the utmost of comfort in our luxury suite accommodation. Take the opportunity to swim in our edgeless swimming pool or relax in the jacuzzi. The Lodge offers a unique opportunity to rediscover balance and harmony created by an atmosphere of tranquillity and calm on which we offer an unforgettable experience by relaxing & spending a lazy day at the Swimming pool & Jacuzzi area. 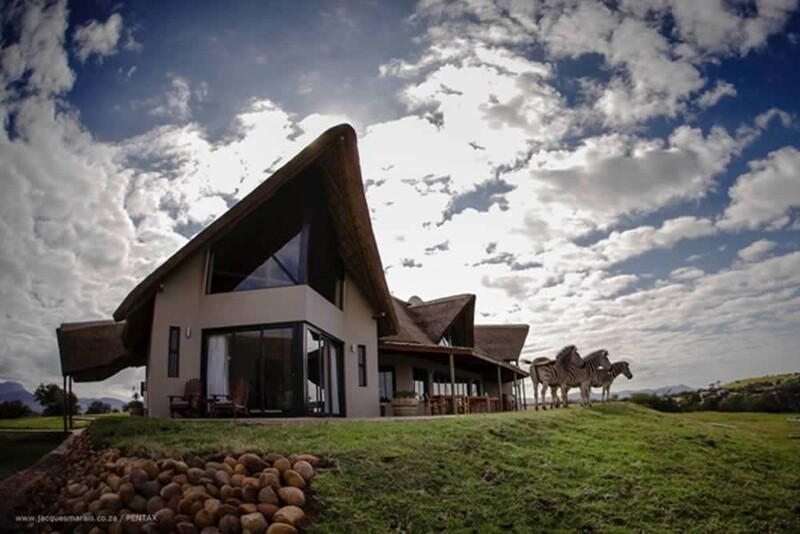 Our spacious thatch-roofed Lodge will give you an authentic african atmosphere, while the wooden terrace overlooking the ocean will invite you whether you are looking for a romantic dinner or simply to enjoy a relaxing sun-downer. A timeless tranquility emanates from the bush life and the presence of wild animals. 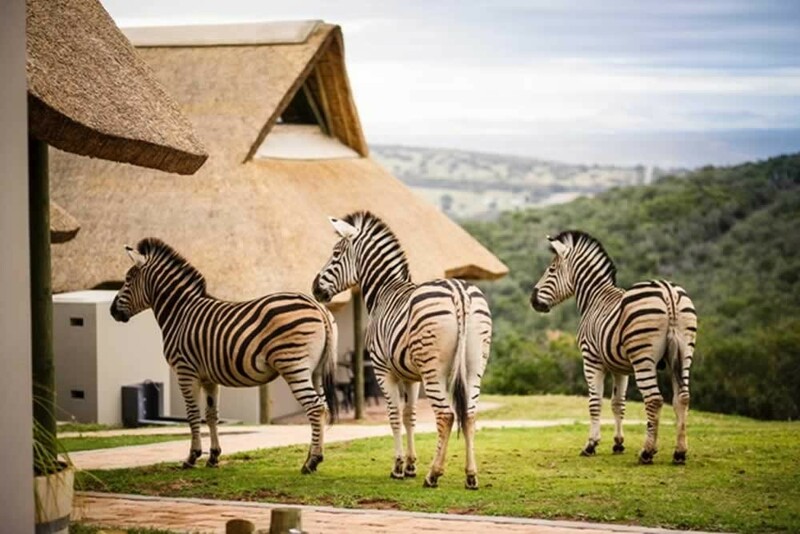 Simply enjoy the romantic and tranquil surroundings of the Eastern Cape, where you can appreciate magnificent panoramas and nature at its best.